Invitations set the mood for your upcoming ceremony and reception. They are the first impression your guests will get of your wedding. Make sure they reflect the theme or style of your day to give guests an idea of what is to come. 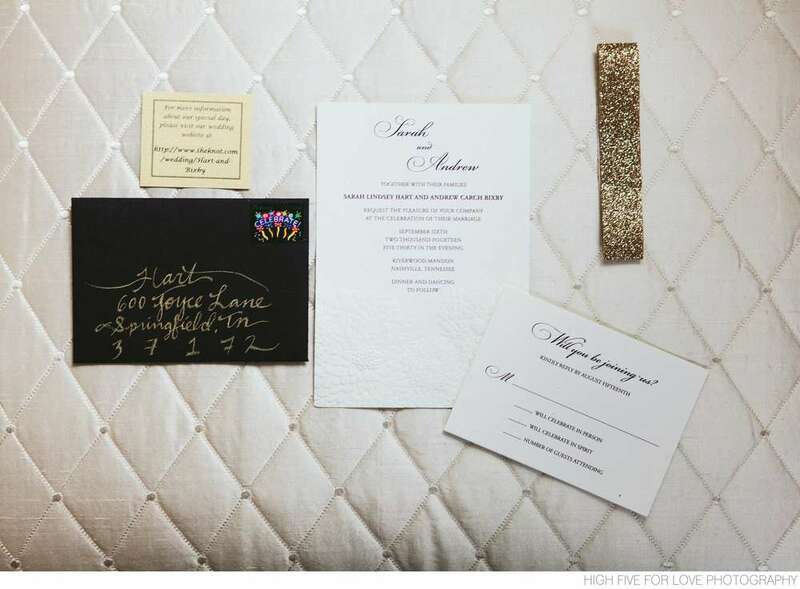 While there are some invitation etiquette guidelines to follow when it comes to timelines, RSVP's and details, the wording and design ultimately comes down to a personal preference. Choose wording that is comfortable for you and your family. Choose a design that is reflective of your wedding theme and represents your own personal love story. From traditional to trendy you really can't go wrong. Here are some real Riverwood wedding invitations for inspiration.